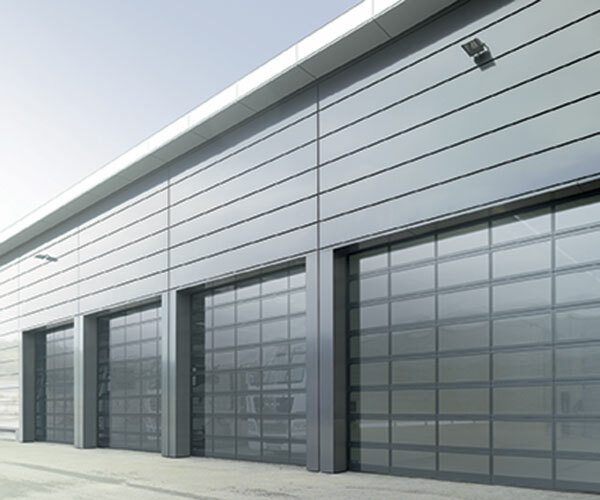 By combining top quality and advanced technology with high insulation requirement, our sectional overhead roller shutter doors can be manually operated (via a pull-down rope or geared hoist) or automatically. 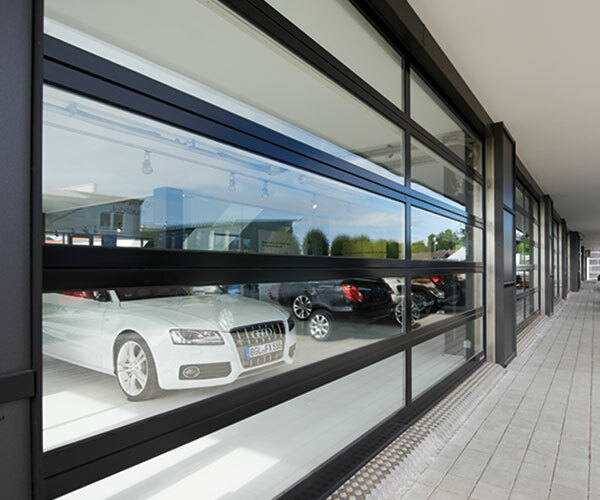 Doors are made of 40 mm thick insulated panels which are formed from high density, fire resistant, CFC free urethane cores. 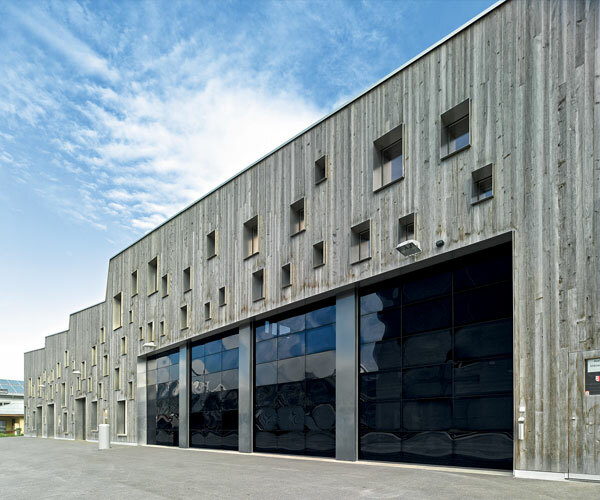 Incorporating a unique finger-safe profile, the panels provide a u-value of 0.60 w/mzk - which is higher than the requirements for current building regulations. Available in wide a range of colours and materials, including HP200 or architectural polyester. 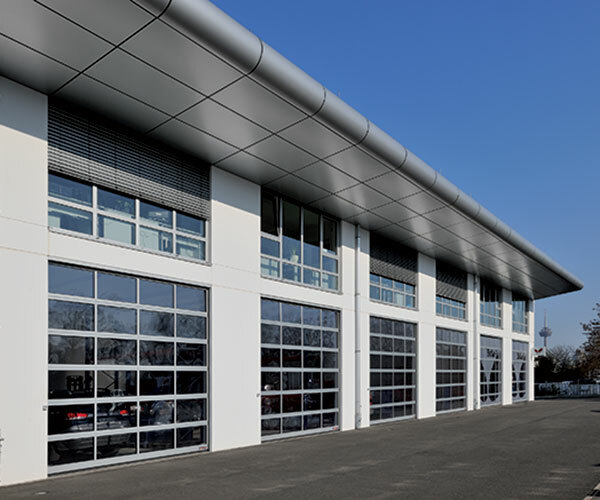 Outside facing panel sheets can be stucco embossed with polyester finish, or smooth with plastisol finish, in colours from our standard range. Vision panels are available in a variety of sizes and patterns, acrylic double and fully sealed. 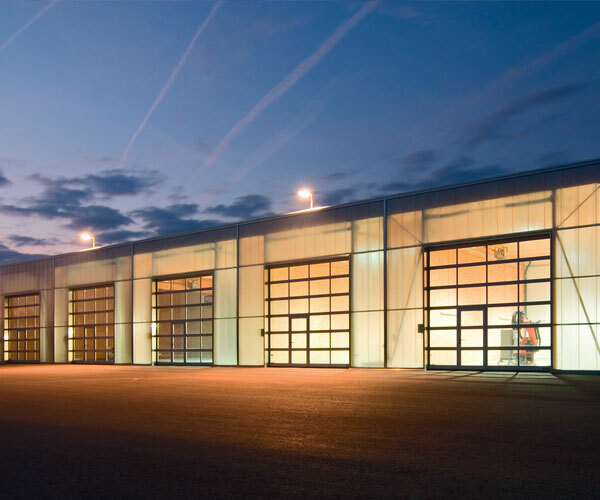 Sectional overhead doors provide solutions for many different applications.